This polypropylene carpet in Cheltenham had taken a real beating over the years. A large accumulation of grease from the kitchen is the cause for the concentrated dirt build up. This is because the grease attracts any soil and will cling to it. This problem is compounded by the fact that this carpet is looped. Due to this the dirt (and grease in this case) are going to be harder to remove. This requires more cleaning solution and more rinse water. These loops will also make the carpet harder wearing, so a yearly clean would prevent too much soil build up. 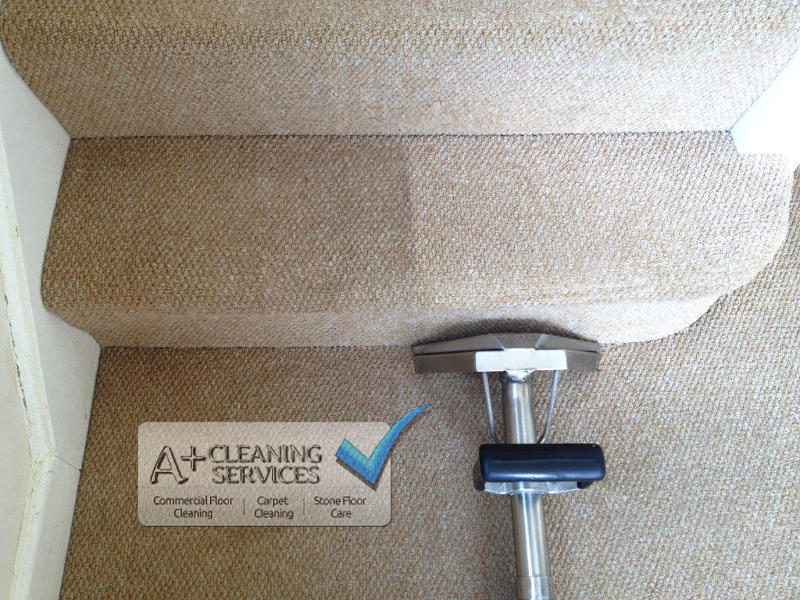 When the carpet cleaning Cheltenham was completed, all the carpets looked as good as new. With the correct maintenance these carpets will last for years to come. Also of note, is that after the initial 6 months of being harder wearing than a woollen carpet, it will soon become dull in areas of regular footfall. 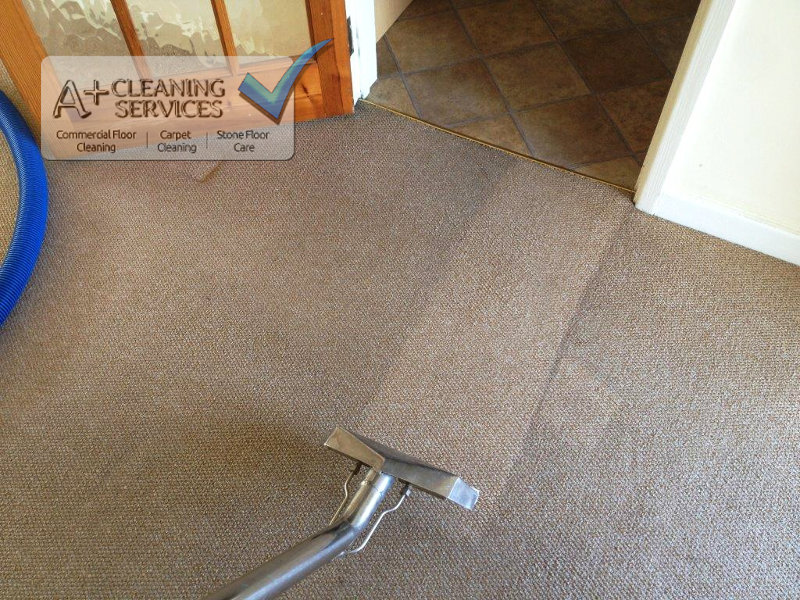 This effect can be significantly reduced with a regular maintanence clean every 12 months.